Calcium carbide (CaC2), is an important chemical raw material produced from the chemical processing of limestone. 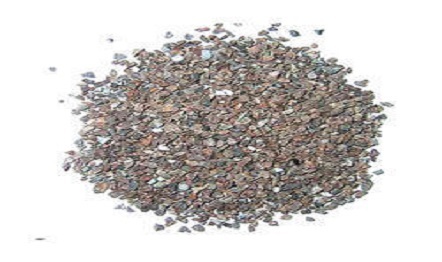 The property of calcium carbide is related to its purity. Its industrial product is mostly the mixture of calcium carbide and calcium oxide and contains trace amounts of sulfur, phosphorus, nitrogen and other impurities. The melting point and electrical conductivity both decrease with the decrease of the purity. The purity of its industrial product is usually 80% with m.p. being 1800~2000 °C. At room temperature, it does not react with air, but it can have oxidation reaction at above 350 ℃ and have reaction with nitrogen at 600~700 ℃ to generate calcium cyanamide. Calcium carbide reacts with water to generate acetylene and release a large amount of heating. Therefore, calcium carbide should be strictly kept away from water. It is usually packed in a sealed iron container, and sometimes stored in a dry warehouse being filled with nitrogen if necessary. Presently, electric furnace reduction method is the only method to produce calcium carbide in the industry. The production process demands high-temperature operation with yielding a large amount of dusts and large power consumption. The method is as follows: Crash the coke and lime, mix evenly according to the proportion and add into closed calcium carbide furnace. Heat and perform reduced reaction at 2000-2200 ℃, to generate molten calcium carbide. Cool to obtain solid calcium carbide.